AbuseCheck is a service offered by BioPharma Institue, a company founded in 1997. 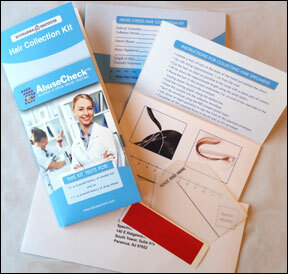 AbuseCheck Hair Substance Abuse Testing is one of several solutions offered from BioPharma Institute. The company is best known for its certification training positioned to the biotechnology, clinical research, pharmaceutical, regulatory affairs, and drug manufacturing industries. BioPharma Institute is also a provider of other healthcare solutions in the U.S. and Canada. Terry earned a Master’s degree in Molecular Medicine and Genetics from Wayne State University School of Medicine. After working in a genetics laboratory for a couple years, Terry’s ambitions led him into the entrepreneurial world. Founding GeneTree Inc. in 1997, Terry embarked on what has become an interesting journey. One adventure along the way was envisioning and spearheading the launch of the very first retail DNA testing product, first from the Internet, then from the shelves of major US pharmacy chains, Walgreens, Rite-Aid, and CVS. Terry has since gained management experiences in the consumer retail, medical device, life sciences, and training industries, and has been a visionary for many unique solutions in the industries, from the novel delivery of e-Learning modules to connecting physician medical devices to electronic health record (EHR) systems. Terry’s focus is now on growing AbuseCheck by streamlining the process of providing high-quality substance abuse testing solutions for the forensics community. Dr. Rajeckas earned a Ph.D. degree in Organic Chemistry from the Massachusetts Institute of Technology (MIT). He is an experienced marketing management and business development professional with industry experience including clinical diagnostics, medical devices, life sciences and biotechnology research. Dr. Cirimele studied biochemistry and pharmacology at the Louis Pasteur University of Strasbourg and received his Ph.D. in 1996. In 2003, he founded ChemTox and became Scientific Director and CEO of this laboratory in 2009. He was listed as Expert by the Cour d’Appel de Colmar in 2007 and by the Court de cassation since December 2012 for forensic and analytical toxicology, blood alcohol determination, drugs of abuse and doping substances. He is member of several scientific societies (TIAFT, SFTA, STC) including the Society of Hair Testing (SoHT) since its creation in 1995, and became SoHT board member in 2012. Alexia’s responsibilities include overseeing customer services and support for to those purchasing training or AbuseCheck testing from BioPharma Institute. Chris’ responsibilities include providing support services to those enrolled into training from BioPharma Institute and those purchasing products from AbuseCheck and American Paternity Association divisions.